We accept electronically submitted documents through Simplifile e-recording service and Corporation Service Company (CS). Sending your documents electronically for recording helps you save time and money. All you need is a PC, scanner, and internet access. Get Started with Simplifile Now! or Put CSC to work for you! About CSC: The experienced team at Ingeo Systems, Inc., the pioneer of the electronic document recording industry, is now part of Corporation Service Company (CSC). CSC has more than 110 years of experience serving corporate, legal and financial communities, and we were recently recognized by the 2012 Mortgage Technology Awards for our impact on the mortgage industry. The office of County Recorder was the first constitutional office in county government in the State of Indiana. The Recorder’s office records any written instrument submitted to its office, provided it meets essential requirements set by state statutes. 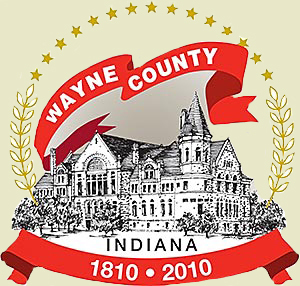 We index all documents submitted for recording into our computer system and most of the documents indexed, pertain to real estate located in Wayne County. Instruments commonly recorded are: Deeds, Mortgages, Assignments, Releases, Powers of Attorney, Real Estate Contracts, Annexations, Trustee Elections, Affidavits, Final Decrees, Surveys, Subdivision Plats, Federal Tax Liens, Mechanics Liens, Military Discharges, Articles of Incorporation, Cemetery Deeds, Bonds, Plats, Condominiums, Firms Doing Business Under Assumed Names, Delinquent Sewer Liens and other miscellaneous instruments. The Recorder is required by state law to preserve all the records recorded in the office. We microfilm every document, microfilm being the only archival media. Since the year 2000, we also scan every document into the computer system, making it easy for the public to access them. The Recorder also files liens against personal property attached to real estate, which are known as UCC Fixtures and all other filings related to these fixtures. Records any written instrument submitted for recording, provided it meets essential requirements. (Fee charged.) Instruments commonly recorded are: Deeds, Mortgages, Assignments, Releases, Powers of Attorney, Real Estate Contracts, Annexations, Trustee Elections, Affidavits, Final Decrees, Surveys, Federal Tax Liens, Mechanics Liens, Military Discharges, Articles of Incorporation, Cemetery Deeds, Bonds, Plats, Condominiums, Firms Doing Business Under Assumed Names, Delinquent Sewer Liens and other miscellaneous instruments. Files Uniform Commercial Code instructions.